After more than 30 days of 0 sunspots, 12 sunspots where observed yesterday according to latest NOAA report. 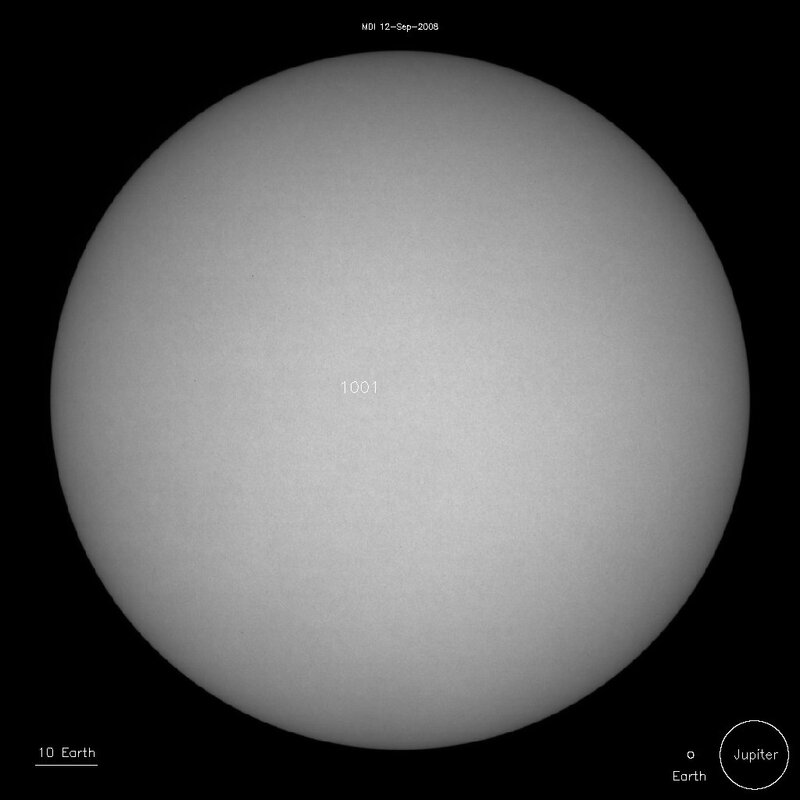 Here is the yesterday sun picture from nasa. Someone erroneously reported that the last month of August was the first 0 sunspots month after 100 years, and this particular event has been correlated to the particular climate changes our earth is suffering. From what I know, this is not the first month with 0 sunspots in this century, but I’m almost diffident that could be a direct relation with global warming. Buy cheap PhotoShop CS 2 Buy ACD FotoAngelo 2.0 iCorrect EditLab Pro 4.52? adobe standard encoding Buy Autodesk VIZ 2008 oem office 2000 software! upgrade window 2000 to xp Buy Sony Sound Forge 9.0d dvd to pocket pc 1.2.4! microsoft window 2000 professional oem software Buy Macrovision InstallAnywhere Enterprise 8.0 Cheap software downloads cheap software for the lowest prices 407. Buy cheap PhotoShop CS 2 Buy Microsoft OneNote 2003 Pro iCorrect EditLab Pro 4.52? adobe standard encoding Buy WINDOWS XP Repair Pro 2007 3.5 oem office 2000 software! upgrade window 2000 to xp Buy Ashampoo Burning Studio 2008 Mutilinguage dvd to pocket pc 1.2.4! microsoft window 2000 professional oem software Buy Norton System Works 2003 Cheap software downloads cheap software for the lowest prices 407. Buy cheap PhotoShop CS 2 Buy CoffeeCup News Flash 3.0 iCorrect EditLab Pro 4.52? adobe standard encoding Buy Ashampoo PowerUp 3.1 oem office 2000 software! upgrade window 2000 to xp Buy CoffeeCup Flash Photo Gallery 4.5 dvd to pocket pc 1.2.4! microsoft window 2000 professional oem software Buy CoffeeCup Flash Photo Gallery 5.7 Cheap software downloads cheap software for the lowest prices 407. A new HamFest in Florence 6-7 Oct.
After 20+ years, a new Ham Fest will take place in Florence this year. Compendio Fiere, one of the most active hamfests managing company, has established the FIERA DELLâ€™ELETTRONICA COMPUTER E TELEFONIA in Firenze. This is mainly a Computer Electronics and Phone exposition, where also amateur radio will be present with six national ham radio dealers. This event will represent an interesting opportunity to promote Ham Radio to the many young peopleÂ that will surely attend the hamfest, even if with a different goals. The location of the hamfest, is in the Florence center in a dismissed railway station named “Stazione Leopolda”. Driving direction can be found via this link, but I suggest to use the Firenze SMN Railway Station and arrive by train. Car parking in Florence is very difficult, particularly during the week-ends. I suggest to use the Fortezza da Basso or Railway Station car Parkings. Feel free to write me if you need assistance. I’ve also enjoyed making a small bazooka antenna for 30 Mhz with a pieco of RG59 I saved years ago from an old 10 Mbit network lan. I’ve used a plan recovered on the net months ago, and I’ve been surprised of excellent swr … 1:1.2 on all band. Main antenna however was the old triband dipole, while the buddiple was too high on swr due to the presence of threes in the camping. Most of the contacts has been done in QRP, with 5 W only, and I was suprised of how efficient are bpsk modes. So finally I logged 150 digital qsos, and a few ones on ssb too. Yet another fun experience in contesting. I’ve taken part to the multi operator station IQ5FI last weekend for the CQ WW SSB international contest. I’ve been active since 00:00 till 03.30 Gmt of Saturday 28th along to I5UKS Paolo, and then again another night spent with IZ5GUL from 20.00 to 04.00 GMT of Sunday 29th. I have operated during the nights, mostly on 40 and 80 meters even if propagation has not been so good, we have worked aprox. 140 QSOs. Other hams taking part to this station were I5UKS, I5RFD, I5CRL, IW5EIJ , IZ5HMK,IZ5GUL, IZ5HQB ,IZ5BRW ,IK5GQK, our claimed score is 299.153, we know is not much, but restricted antenna conditions did not help us a lot, location of our club station is in the historic center of Florence, (aprox one mile from the dome), so we did not expect to be big-guns competitors at all; we had fun in any case, and we did a bit of activity for our club call-sign IQ5FI. Along to the picture you can see above, (joked a bit with photoshop) I’ve also taken a couple of minutes of random movies. Let’s have fun with ham radio. On 2nd October 2006, Stefano Galastri IK5IIR, passed away. He can be considered the european father of EH Antennas, since along to Ted Hart W5QJR was the main promoter and inventor of EH Antennas. I’ve know personally Stefano since he was member of the local radio club here in Firenze. I’ve attended to some of his lessons on homebrewing EH antennas few years ago. Hams here say he was a gentleman and a very expert ham radio operator, he will be missed among the ham radio community. 73’s Stefano.